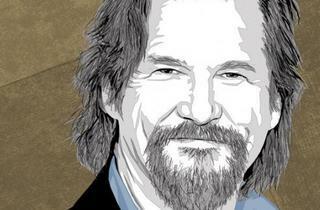 The Dude picks up an Oscar nod with his performace in True Grit. 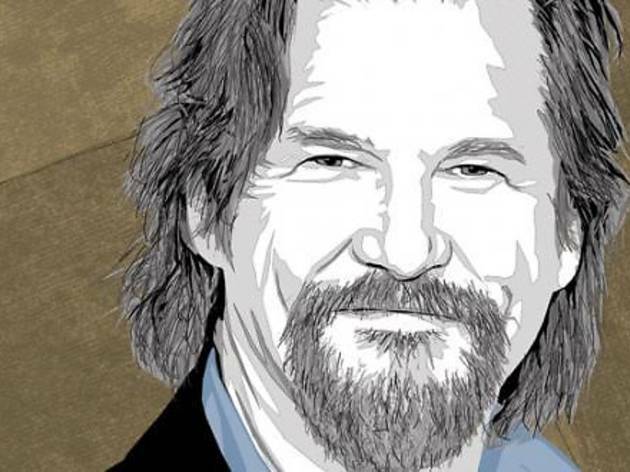 Everyone has a favorite Jeff Bridges, whether it be his immortal Jeff Lebowski (“takin’ ’er easy for all us sinners”), his Clintonesque President (The Contender), his friendly lost alien (Starman) or his flirty jazz-bar piano player (The Fabulous Baker Boys). What’s sometimes left out of the discussion, though, is how much range this classic American actor continues to display nearly four decades after his first major film, The Last Picture Show, earned him an Oscar nomination. In the next two weeks, viewers will get to see Bridges, 61, embody the eye-patched Rooster Cogburn, a role made famous by John Wayne in 1969’s True Grit and now reimagined by the Coen brothers. Even more exciting to geeks, he’s returning as video-game genius Kevin Flynn in Tron: Legacy. We reached Bridges in his native Los Angeles. Your dad, Lloyd Bridges, had some major roles in a lot of significant Westerns, stuff like High Noon and Little Big Horn. Were Westerns a big deal for you growing up? What is it about them that’s so gosh-darn awesome? I just remember as a kid, you know, Dad coming home after work and appearing there in the front door, all dressed up like a cowboy, in boots and chaps. Whoa. My dad never did that. Oh yeah. It was great, and of course, I’d throw all that stuff on. I remember visiting him on the set and, um, ruining a scene [Laughs]. They didn’t ride horses in close-ups; they rode on ladders! So I saw Dad and a bunch of cowboys sitting on the tops of ladders with crew guys moving them to give them the illusion that they were on horseback. I couldn’t keep a straight face. I had to be kicked off set. Meanwhile, you’re ornery and wonderful in True Grit, but the performance is nothing like John Wayne’s Oscar-winning turn in the first one. Was that part of the plan? Yeah. I mean, the guy’s an icon. He was wonderful in some of those Howard Hawks Westerns…movies with titles I can’t remember. But when the brothers [Joel and Ethan Coen] invited me on board, I was curious as to why they would want to make the movie again. And they said, “We’re not making it again. We’re making the book, as if the movie never existed!” [Laughs] So I took them up on that, and I didn’t refer to the original movie at all. Maybe the real worry wasn’t stepping into the Duke’s boots so much as reuniting with the Coens after making such a classic, The Big Lebowski. Why would I be concerned about working with them again? You know, will lightning strike twice? Nah, I don’t think about that stuff too much. It’s great to work with the directors you’ve collaborated with before—you develop a shorthand. And they’re among our very best, which always improves your game. Now that you’ve won your long-deserved Oscar [for 2009’s Crazy Heart], is it less of an albatross, the whole awards race? It’s never been an albatross. Ever. It will be whatever it is. We were very fortunate on Crazy Heart. Ah, the long view. It might be said that your directors have come into the same relaxed vibe: It looks like the Coens have finally discovered teens and parenting, even gently so, with True Grit. It does, doesn’t it? I think they wanted to make a movie like that. We had [13-year-old] Hailee Steinfeld in there, carrying the whole story. I’ve got three daughters myself, so I couldn’t help but fall into that father-daughter thing with her. Did you tease Hailee a lot? Nah, her parents were on the set. She’s very well raised. You’re kind of a techno daddy in this new Tron: Legacy. Seriously, man, the title applies: Tron: Legacy. What kind of legacy are we going to leave our kids? There’s kind of a Zen thing to the film, with lots of crazy and man and jazz in your dialogue. Was that your influence? Yep. I invited a friend, Bernie Glassman, who is a famous Zen teacher here in America, to advise us with the spirit of the film. Undoubtedly a Disney first. It’s like the Dude in space! Check out reviews of [node:141251 link=TRON: Legacy;] and [node:141157 link=True Grit;].